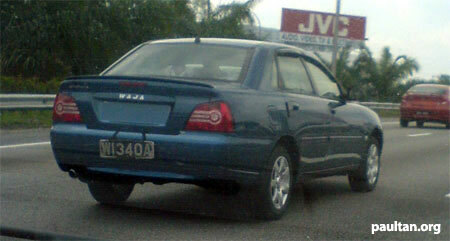 Spotted, a Proton Waja facelift undergoing road tests. 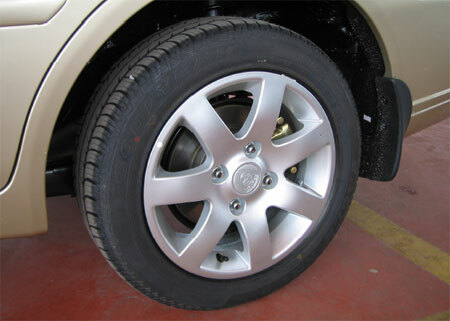 We have a new alloy rim design, and new tail lights. Photo sent in by reader Daniel. UPDATE: More details and photos of the new facelifted Proton Waja after the jump. Thanks to reader Stephen for the new photos. This is the new facelifted 2006 Proton Waja Campro. 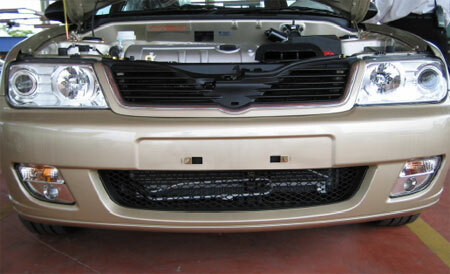 You get a new new honeycomb grille and new headlamps. I can’t say I like the new headlamp design too much. Looks very Brothers. 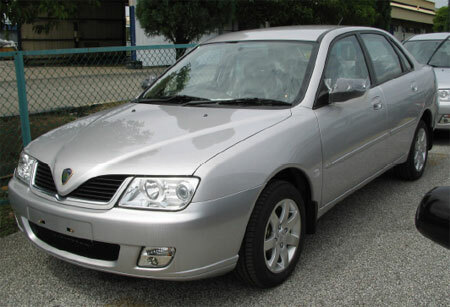 Where’s the designer who did the nice Gen2, Savvy and Satria Neo headlamps? 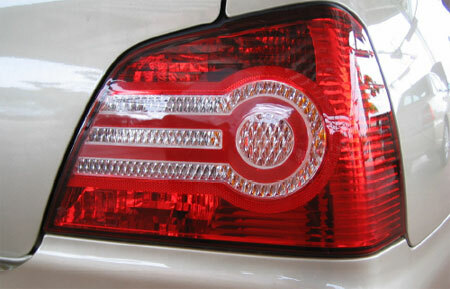 Rear “thermometer” taillamps. They also look like crop circles to me. Kind of like ET landed his UFO on the taillamps. 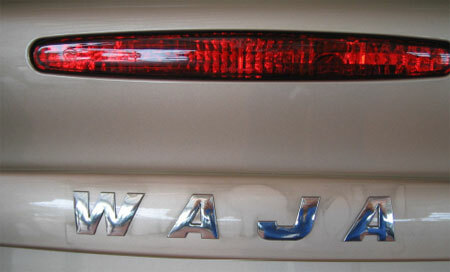 The Waja lettering has been moved above the numberplate.